Post sponsored by the Toronto Jobs Everybody is looking for to earn more money. The Pentagon confirmed that it had sent two US Navy vessels across the Taiwan Strait, in what became the second operation this year. 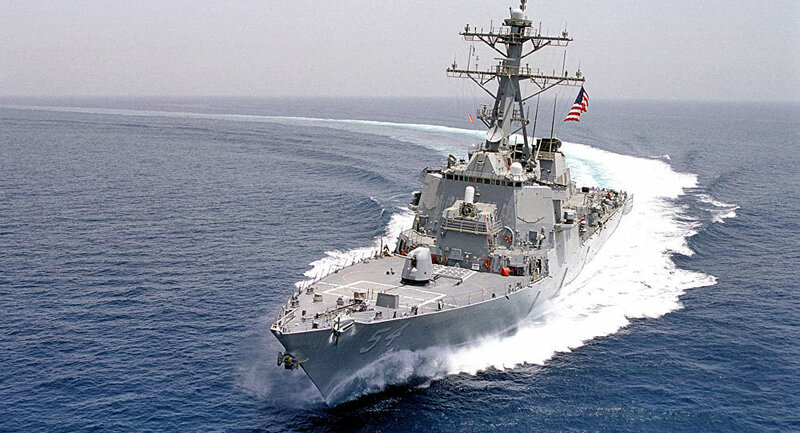 A spokeswoman for the Ministry of Foreign Affairs of China, Hua Chunying, expressed great concern over the sending of the United States Navy to its two warships across the Taiwan Strait. The Ministry of Defense of Taiwan, for its part, said in a statement that it was aware of the “routine” operation and that the island is capable of defending its maritime territory and airspace security. Pentagon spokesman Colonel Rob Manning, in turn, confirmed that “in the Taiwan Strait, early today, the [guided missile destroyer] USS Curtis Wilbur and the [guided missile cruiser] US Antietam conducted a routine transit of the Taiwan Strait in accordance with international law. He described the transit as “the commitment of the United States to a free and open Indo-Pacific,” promising that “the United States Navy will continue to fly, sail and operate in any place permitted by international law. Manning also referred to the fact that the United States maintained “the coordination and contact with the nations, authorities and appropriate parties” when carrying out the transit, and said that “it was certainly not the intention of the [Defense] Department to increase tensions or any type of climbing across the Taiwan Strait.